Obstacle Avoider or Obstacle sensor for robots and electronics with range between 3cms to 10cms. 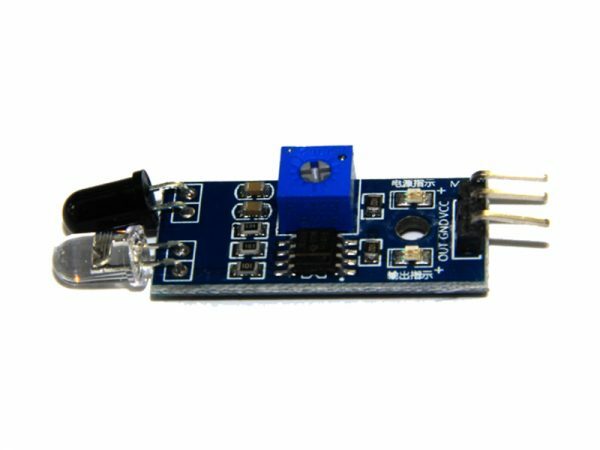 Power: 3-5V DC power supply. 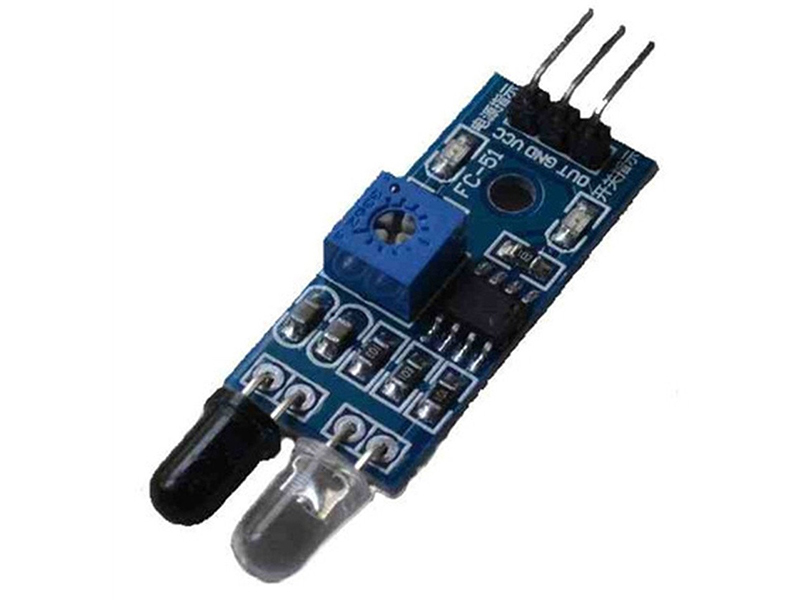 IR Obstacle Avoidance Sensor Module adaptable to ambient light, having a pair of infrared emitting and receiving tubes, transmitting tubes emit infrared frequency, when the direction of an obstacle is detected (reflection surface), the infrared reflected is received by the reception tube. After a comparator circuit processing, the green light is on, but the signal output interface output digital signal (a low-level signal). You can adjust the detection distance knob potentiometer. The effective distance range of 2 ~ 10cm. The working voltage of 3.3V- 5V. 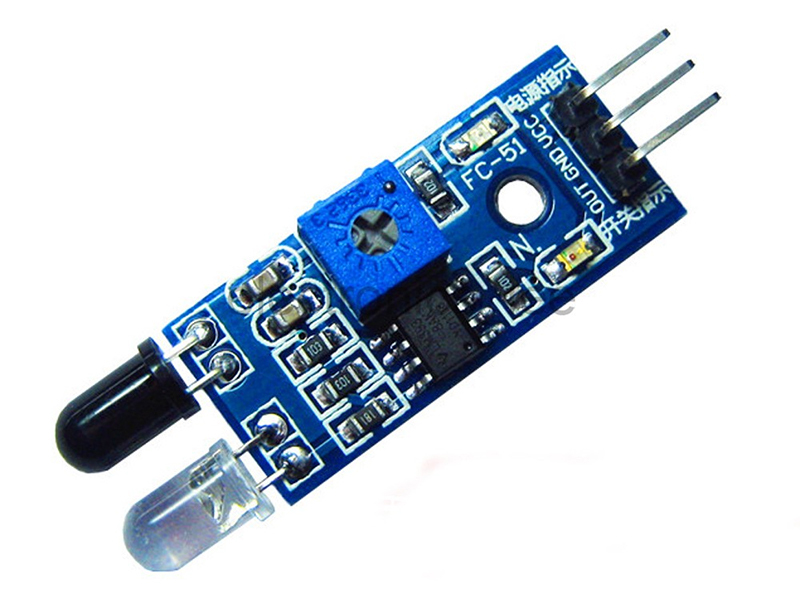 Detection range of the sensor can be obtained by adjusting potentiometer. 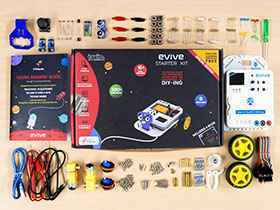 With little interference, easy to assemble, easy to use features, the sensor can be widely used in robot obstacle avoidance, avoidance car, line count, and black and white line tracking and many other occasions. When the module detects an obstacle in front of the signal, the green indicator lights on the board level, while the OUT port sustained low signal output.